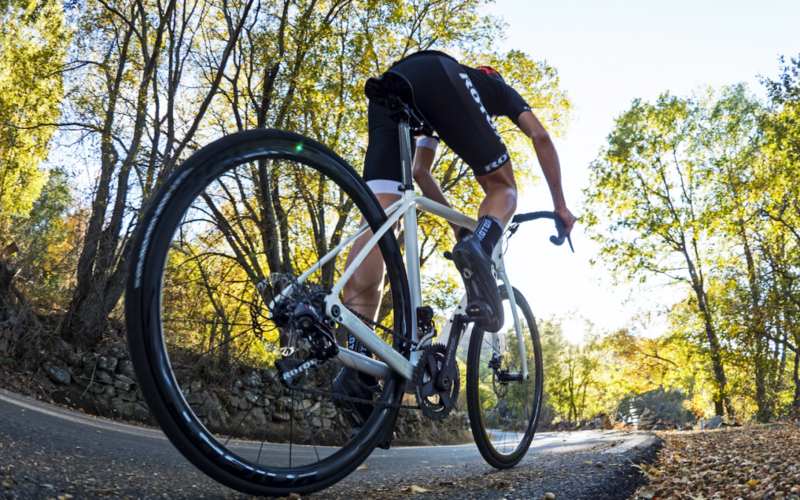 Relative to many sports, cycling is generally good for the knees, but nonetheless, many riders still experience knee pain at some point in their cycling career. Most such knee pain can be attributed to one of three causes: 1) too abruptly ramping up your training or chronic overtraining; 2) changing your equipment or position; and 3) your own anatomy and your body’s biomechanics. In a properly functioning knee, the kneecap or patella tracks along a groove in the distal end of the femur or thigh bone. The patellar tendon connects powerful leg muscles to the patella. When the muscles around the knee are imbalanced – too weak or too strong or some combination thereof, they pull the patella off track or compromise how well it glides. It can lead to issues such as patellofemoral syndrome and patellar tendonitis. Likewise simple trauma to the knee, such an impact during a crash, can cause pain and inflammation. Oral anti-inflammatory medications such as ibuprofen, naproxen or aspirin will often reduce knee pain caused by inflammation. But beware if your knee pain is due to a chronic issue. Medication will not help you fix most causes of knee pain; it will simply mask its symptoms. While your knees are not subjected to much weight bearing during your rides, they do experience many cycles of bending and unbending, which add up over time. If you ramp up your training hours or efforts too quickly, you’ll be more susceptible to overtraining-type overuse injuries, so take your time and build up your time and distance on a bike gradually so that your body has time to adapt physiologically. Doing too much too soon might result in you having to take some time completely off the bike so your knee can recover. Poorly positioned cleats are a frequent culprit of knee pain. If you’ve recently changed shoes, cleats or pedals, and your knees suddenly start hurting, revisit those changes as the likely source of the problem. Common alignment issues include having your cleats rotated too far in either direction, which you’ll experience as your heel being relatively too close or too far from your crank arm. This kind of knee pain often manifests on the lateral or medial sides of your knee. Having your cleat too far forward or backward on your shoe is another common cause of knee pain. It will often lead to pedalling too flat footed or with your toes pointed too much downward. A rule of thumb that works for many is to align your cleat so that the axle of your pedal appears to be “under” the base of the joints between your mid-foot and toes when you look down at your foot while your leg is fully extended during the pedal stroke. Pushing gears that are too big puts significant strain on the knees, especially for cyclists who are not used to doing so. Consider dropping to easier gears and spinning more; pedalling a lighter gear at a faster cadence will still produce the same amount of power but require less torque through the knee joint. ROTOR’s Q-Rings improve your performance, minimize fatigue and reduce stress on the knees. They virtually decrease the gear ratio in the dead spot and increase the gear ratio in the power phase where the rider exerts the most force. The ability to pick from five different Optimum Chainring Positions (OCP) gives you the option to find the best setup for your knees. Tight muscles sometimes are the cause of knee pain. Sometimes the quadriceps are too tight; sometimes it’s the hamstrings or calves. All of these muscles attach near or cross your knee joint and can affect how well your knee tracks. In addition, too-tight glutes, groin muscles and IT bands may alter the proper tracking of your knees. If you’re prone to tight hamstrings, calves or quads, start a regular stretching program. One of the best ways to gain flexibility is to adopt a regular yoga practice: find a class near you or try out some videos online. Saddle too high, too low, too far forward or too far backward relative to your bottom bracket? All four situations can cause knee pain – typically in the front or back of your knee. It’s difficult to evaluate your own position on your bike since you can’t see yourself, so if you’re struggling with knee pain and the above suggestions haven’t worked, hire a bike fitter to check your position.